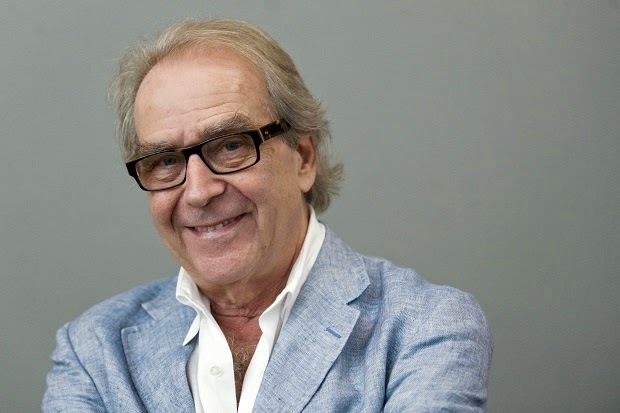 ‘If the Prince of Wales can have a pub named after him, why shouldn’t I have a bar?’ says Scarfe, who treated me to a whistle-stop tour of his work. ‘There won’t be enough time to paint Maria Miller [before she goes],’ he joked. The walls did, however, present a small connection to the beleaguered Culture Secretary. Scarfe proudly showed me a framed copy of his Sunday Times cartoon that depicted Greece and Spain being breastfed by Angela Merkel. He boasted: ‘Mary McLeod, who works for Miller, was one of the five MPs to write to me complaining about this!’ The militant lactivists – who are on Rod Liddle’s case after his latest article for the magazine – won’t like that one. 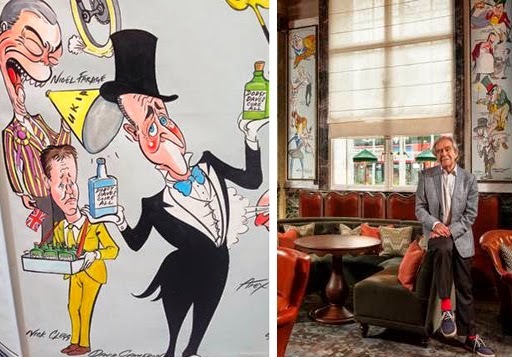 Illustrations of famous British figures, from Margaret Thatcher to David Beckham and The Beatles, will be on display whilst bar-goers sip their drinks. He said: "It's fantastic to have your own bar, I've turned the whole place into an art gallery". The Telegraph has a video in which the cartoonist talks about the drawings on the walls.